You'd think he'd learn to stay grounded. Even Noah's doing better, just by standing there doing nothing. 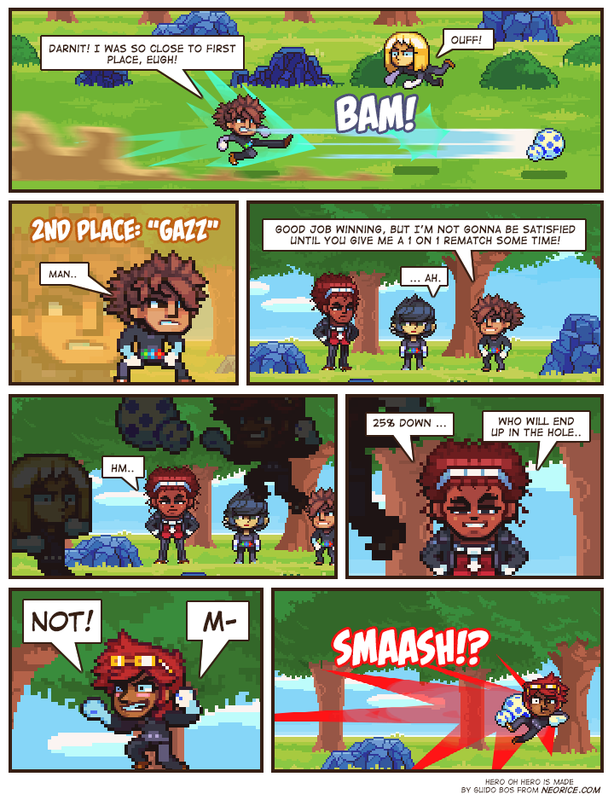 Wow, Gazz is hella competitive! I like that facial expression. Also... looks like someone might have a dislocated shoulder after that. I'm afraid that, if Felix loses this game and they actually put him in a hole, he'll spend the entire time down there plotting his revenge, ultimately leading him down the path of a supervillain. His supervillain catch phrase: "IT'S FELIX TIME!" That's a great way to interrupt an unwanted hug.